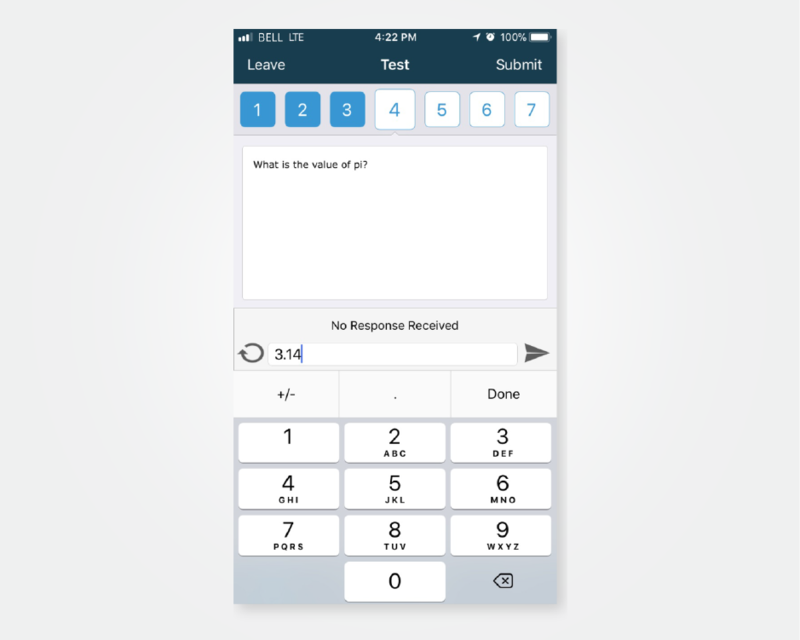 With our mobile app, participants can use any web-enabled device to view and respond to a full range of interactive question types. Whether using a phone, tablet or computer, mobile responding offers the same experience for all users. Quickly and easily open a web browser for the ability to respond to questions on any web-enabled device. Download the TurningPoint app on smart phones and tablets for Android and iOS devices. 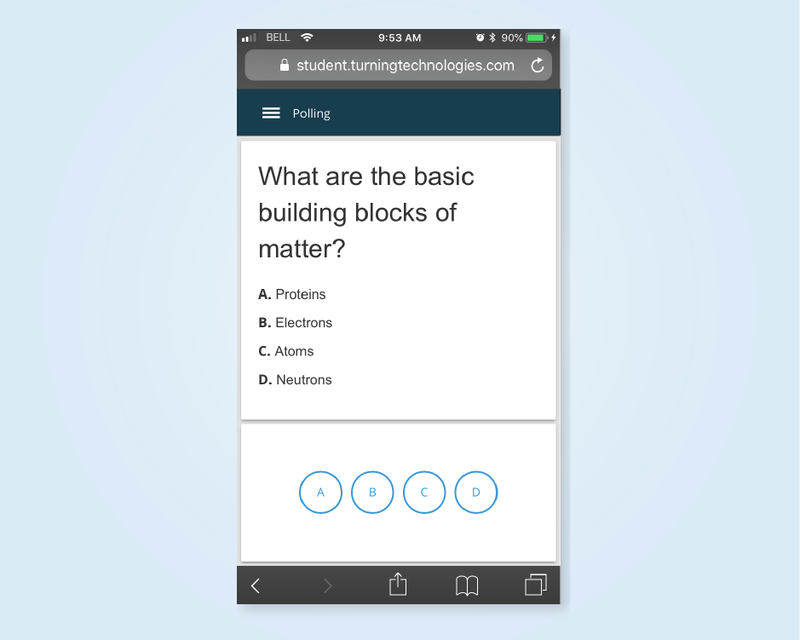 Answer interactive questions in real time or take self-paced assessments, evaluations and surveys. 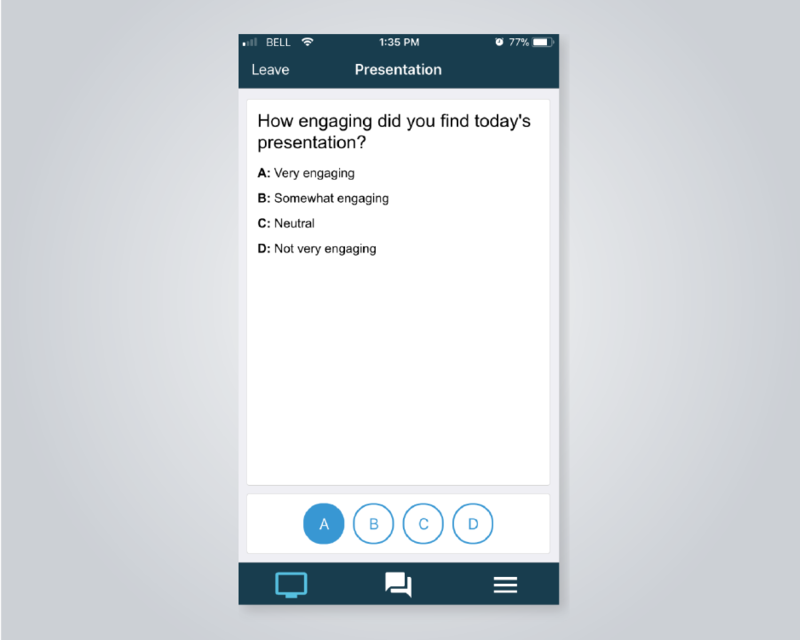 Engage and assess participants with familiar devices that they already own. TurningPoint subscriptions include mobile responding capabilities.